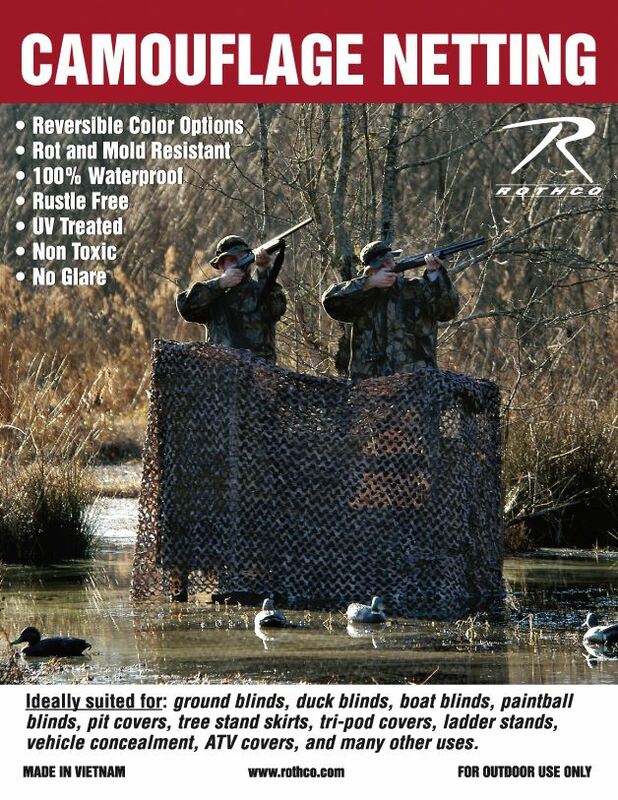 Rothco's Camo Netting comes in two sizes (9' 10" x 9' 10" or 9' 10" x 19' 18") and is ideal for ground blinds, duck blinds, paintball, pit covers, tree stand skirts, technical concealment and many other forms of camouflage. The netting is reversible and is a 100% water resistant so it is rot and mod resistant and will stay rust free. 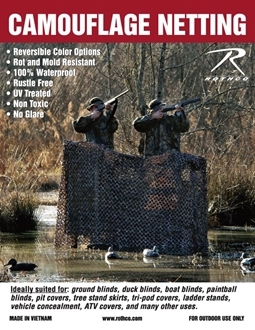 Rothco's Camo Netting is available in two sizes (9' 10" x 9' 10" or 9' 10" x 19' 18") and is ideal for ground blinds, duck blinds, paintball, pit covers, tree stand skirts, technical concealment and many other forms of camouflage. The netting is reversible and is a 100% water resistant so it is rot and mod resistant and will stay rust free.